In a previous post on “gaps” (see Mind the Gap: Guidelines for Gaps in Biblical Narratives), I wrote about the importance of recognizing gaps in biblical literature. Some gaps exist because the inspired author had no interest in filling in the information. At other times, however, gaps are an artistic way in which the author draws us more deeply into the story by providing tantalizing clues which we are expected to investigate and draw conclusions about. I believe that such is the case regarding the High Priest Abiathar’s defection to David’s son Adonijah just before Solomon is crowned king (1 Kings 1-2). Although Abiathar had always been loyal to David, when David was on his deathbed he chose to side with Joab and Adonijah against Solomon, the prophet Nathan, and Benaiah (one of David’s captains). The obvious question is “Why?” I believe some of the gaps in the story can be filled in to successfully answer this question. 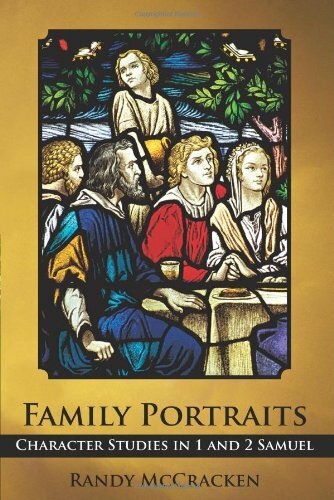 In my book Family Portraits: Character Studies in 1 and 2 Samuel, I seek to do that. Below is an excerpt from my book which seeks to provide an answer to the mysterious actions of Abiathar. If you’d like to follow along in your Bible, some of the key verses for the following story are: 1 Kings 1:7, 19, 25, 42; 2:26–27, 35. 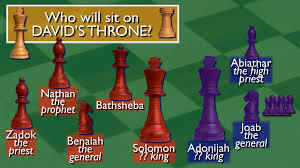 In the chess game for Solomon’s throne, Abiathar lined up on the wrong side. In his old age Abiathar makes the fateful error of aligning himself with the wrong man for the throne. It appears from 1 Kings 1–2 that Solomon was the choice of (both) David and God for the throne (1:17, 29–30; 2:15, 45). A look at other characters [in 1&2 Samuel] teaches us that, not only does God honor those who honor him (1 Sam. 2:30), but those who go against his anointed experience the consequences. Abiathar is an example of this. His association with God’s anointed, David, brought him blessing, but his association with Adonijah and his rejection of Solomon, the Lord’s chosen, brought judgment down on his head (1 Kings 2:26–27). To understand why Abiathar joins Adonijah’s attempt to gain the throne from Solomon involves a little reading between the lines (due to gaps!). The text does not explicitly state Abiathar’s motive, and yet, by examining the passages that speak about him, it is possible to suggest a motive. Other passages which speak of Abiathar show him to be a loyal follower of David, who carries the ark of God (2 Sam. 15:24–36; 19:11). However, these passages also reveal that Abiathar was not the only high priest in David’s service. Zadok is also mentioned as high priest along with Abiathar, and seems to have eclipsed him in importance. Not only does Zadok’s name always appear before Abiathar’s in these texts, but when David flees from Jerusalem, it is striking that David directly addresses Zadok but never speaks to Abiathar (2 Sam. 15:24–29). 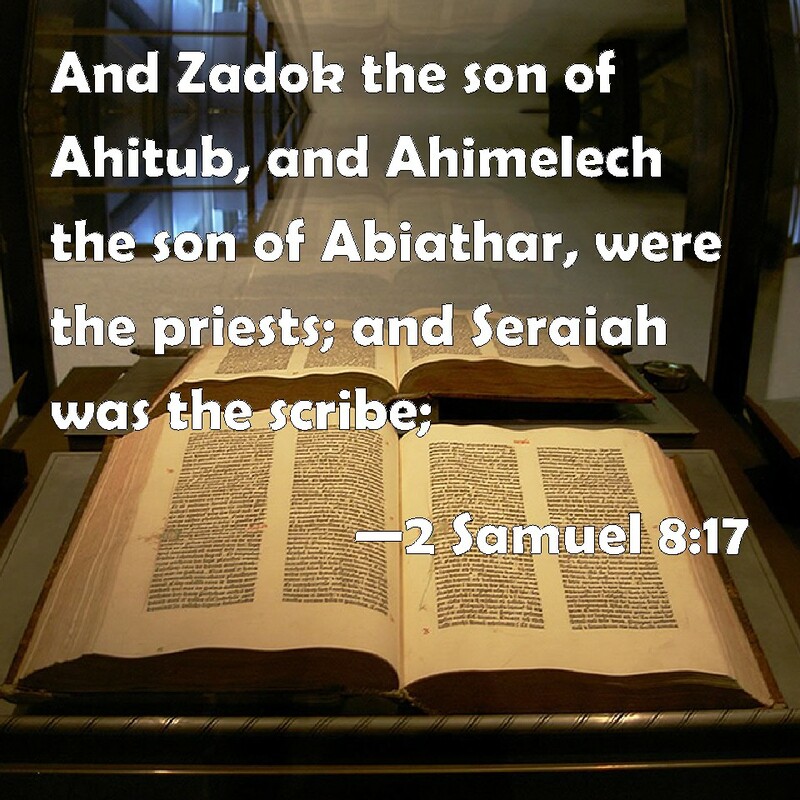 It seems that Abiathar went from being David’s only high priest (during his fugitive days–see 1 Sam. 23), to playing second fiddle to Zadok during the kingdom years. It is natural to suppose that, under such circumstances, Abiathar could easily succumb to envy. Scripture provides meager information regarding this dual high priesthood. Zadok’s first appearance in the narrative follows the conquest of Jerusalem, where he is mentioned among David’s officials (2 Sam. 8:17). Textual evidence suggests that he joined David when the kingdom was unified following Ish-bosheth’s death (1 Chron. 12:23, 28). Zadok may have been appointed high priest to appease the northern tribes and strengthen the fragile unity between north and south. Thus, this unusual situation may have resulted in the anomaly of having two high priests during David’s reign. Whether David preferred Zadok for political, religious, or other reasons, we are not told. Since Zadok was a “newcomer” to David’s regime, having formerly shown loyalty to “the kingdom of Saul” (1 Chron. 12:23), it is possible that Abiathar resented his growing importance. Abiathar’s loyal ties to Judah and Zadok’s ties to the northern tribes provide a further plausible explanation for their different allegiances at the time of Solomon’s accession. It seems likely that Abiathar was aware of David’s oath to make Solomon king in his place (1 Kings 1:17). Yet it is clear that Solomon’s inner circle of power consisted of Nathan, Benaiah and Zadok. For Abiathar this would have meant that he, and his son Jonathan, would continue to be subordinate to Zadok. Perhaps he even feared that Zadok would become sole high priest. As a result, it is easy to see how siding with Adonijah and the “old Judahite regime”—which would recognize him as sole high priest—would be extremely tempting. And it seems he succumbed to this temptation. With Joab and David’s eldest living son, Adonijah, it must have seemed like a foolproof plan. From this small exercise of reading between the lines, we learn an important lesson about accepting the role that God has assigned us. Grasping for power and importance is a pitfall for many. It is particularly sad to see power and status pursued within the church, and yet, as fallible human beings, like Abiathar, we sometimes succumb to this temptation. Abiathar’s example teaches us the importance of contentment. It is far better to have less power and importance and be in the will and blessing of God, than to strive for what God has not ordained for us. Abiathar’s striving took him out of God’s will and brought God’s judgment down on him. Ironically, in his desire to be the only high priest, he lost his position totally. He and his family were relegated to obscurity as he was forced to retire to his hometown of Anathoth. Like the others involved in the attempted coup, Abiathar was deserving of death. It was only the restraint of Solomon and the mercy of God that kept him from that fate (1 Kings 2:26). God is merciful, and will even show mercy when we step outside his will, but in our selfishness we can lose his best for our lives and must experience the consequences of our choices, like Abiathar. For other excerpts from Family Portraits, check out the articles below.